As any regular readers of my blog will know, I am a huge fan of ‘SewHip’ and ‘Handmade Living’, both craft magazines. 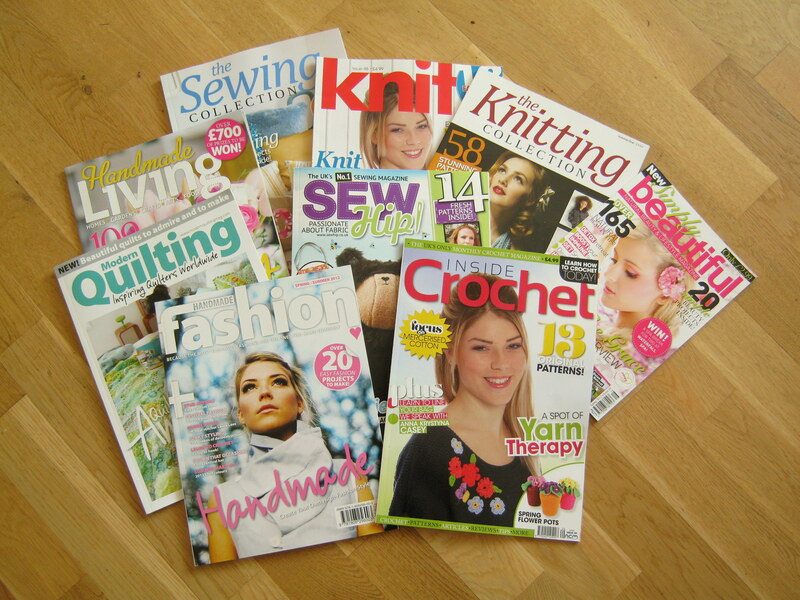 I have also been known to read their sister magazines ‘Inside Crochet’ and ‘Knit’ (soon to be ‘Yarnwise’). As I’ve said before, what I like most about the magazines is the patterns. They are really on trend and cater for a wide range of skill levels. Imagine my excitement when I found out that they were having an open day in their brand new offices (only a 40min drive away). Spaces were limited, so I emailed in, crossed my fingers and waited, not really expecting to hear anything. Imagine my joy when I received an email inviting me to come! Well the open day was last Thursday. I went; I enjoyed; I met lots of lovely people. 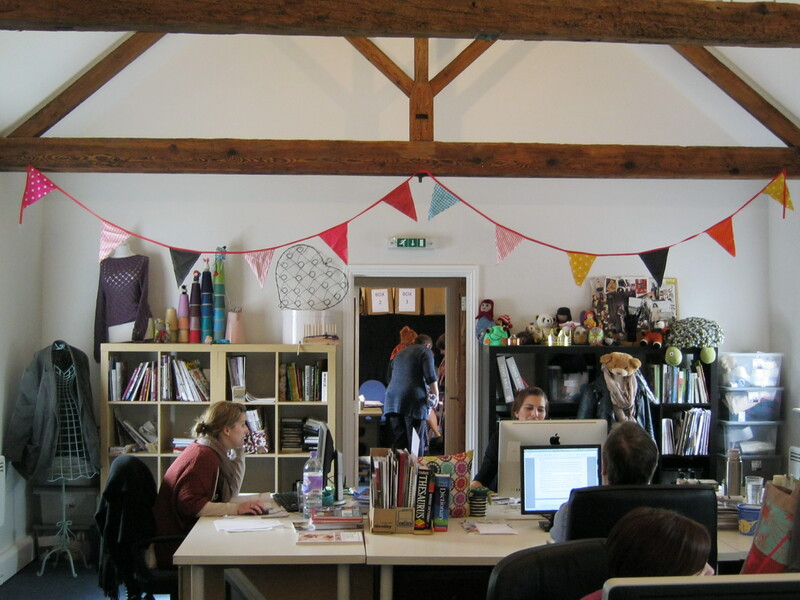 I thought you might like a little taster, so I took some pictures to give you an idea of the day and to give you a sneaky peak inside the offices. First of all we were welcomed in and given a ‘goodie bag’….basically a huge pile of magazines, including (wait for it) their latest magazine ‘Handmade Fashion’ which had only arrived that morning! There was also the first edition of ‘Modern Quilting’ which I have been trying to get ever since it came out. Both are really good! It is going to take me ages to work my way through them all, but it is going to be a lot of fun. There was also a copy of ‘The Sewing Collection’ and ‘The Knitting Collection’. I haven’t had a chance to look at them properly but I got ‘The Crochet Collection’ last October at the knit and stitch show and have loved it. You may remember that I made a lion hat last autumn, well it was a pattern from that book (I have a feeling I’ll enjoy the other ones). I recognise quite a few of them lol. I think I’m going to have to add the turtle to ‘to do’ list as little man would love it. A project Tree. I’m afraid the picture doesn’t really do it justice. We then had lunch and all sat around sewing/knitting/crocheting and spinning(!). 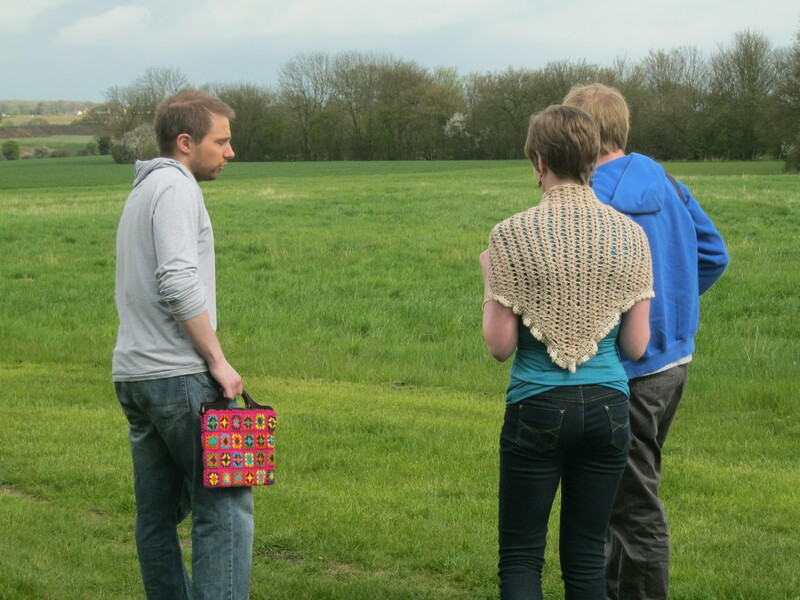 After lunch we popped outside while the rain held off and watched a photo shot for ‘Inside Crochet’. Here they are getting ready. I have to say, the model was very brave. It was quite cold. 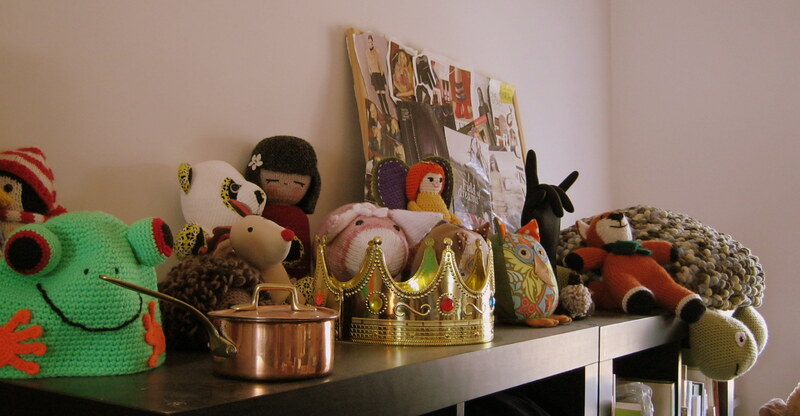 There are the 10 of us who visited for the open day as well as some of the people who work on the various magazines. Over all it was an amazing day. 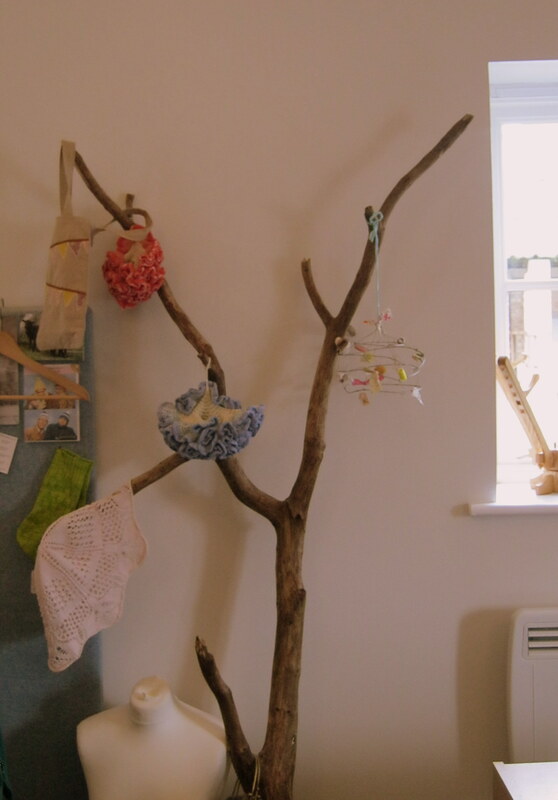 I think for me, the best part of the day was meeting the other lovely crafty people who had come on the open day with me. I met one lady who has been quilting for years; another who makes beautiful crochet things and another who spins (who gave us a demonstration at lunchtime!). It was a very enjoyable day! I want to thank everyone for opening up the office and showing us around. We really felt looked after and it was a great day! It was a really great day wasn’t it? 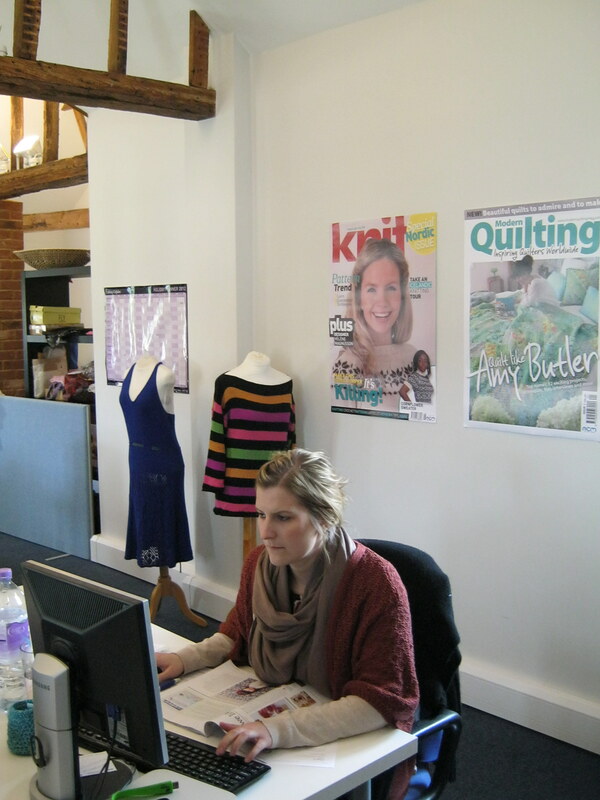 I really enjoyed meeting “crafty” people and being shown how the magazines are made. 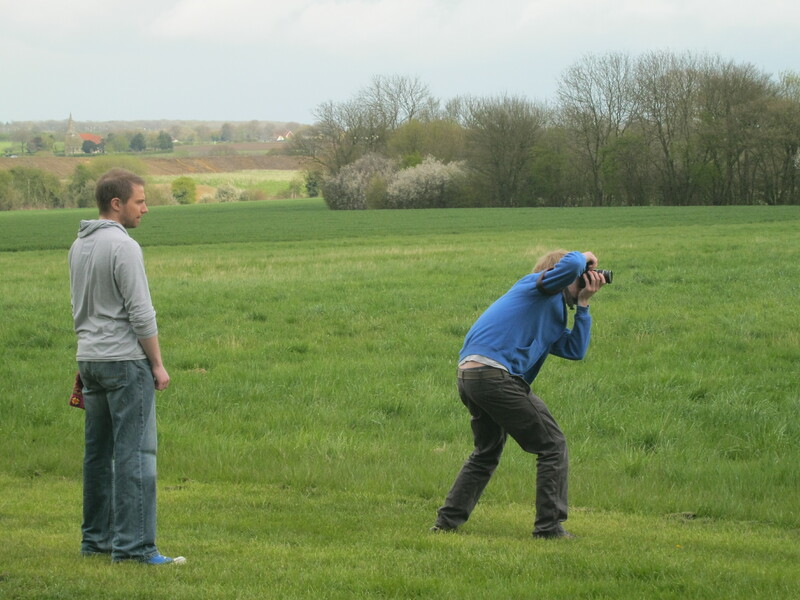 All the staff were really informative and it was great to get to see a photo shoot too!